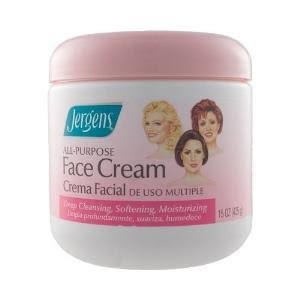 Jergens All Purpose Face Cream 15oz, only $3.97. When I visit my friend in Boston, she has a container of this in her bathroom, one in her bedroom and most times one in her hand. LOL! She loves this product and told me that it cleared her acne. On my last visit, I told her it did make sense, 'cause of the principles the "Oil Cleansing Method." Since she and I swap beauty secrets, I got swayed into buying my own tub. My area drugstore did not have it, but I found it at a Super-Walmart. Even while wondering if to buy 2 of the last 3 tubs on the shelf, a mom tracked me down the aisle and asked me if I liked the product. I told her my friend swears by it, and I had tried it too and liked it. She wanted an affordable beauty product for her sixteen year old daughter who was just starting to wear makeup. 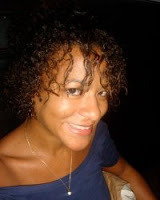 Talk about my instant love affair, this comes from someone who is guilty of not removing makeup! This product deep cleans your skin to remove makeup, waterproof mascara and dirt, providing a radiant, dewy base for makeup. Also softens and moisturizes to help smooth skin and fight dryness (especially during the winter months). It does not bother my eyes either. It can be used for makeup removal, a facial moisturizer, under eye cream, and even a body and foot moisturizer. Directions for Use: Smooth generously over your face and throat. Remove with a tissue or leave on overnight. Sometimes I even apply it to an already clean face and wash it off in the bath. It leaves my skin silky soft! Sightly addicted, I apply it more than once a day. I love it. This is a clean face, after using this product! Calvin Klein "X Mark Your Spot!" Ben & Jerry's FREE CONE DAY 2010!